Imagine producing a music album at the age of two. Well, that's what Asahd Khaled has been up to! 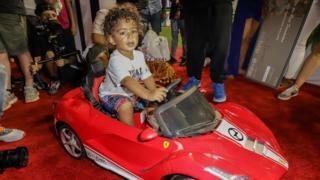 The son of music star DJ Khaled has been named as an executive producer on his dad's new project. Speaking to Billboard, Khaled said: "Father of Asahd is my best work up to date. My son is executive producing it. Expect a lot of surprises. It's coming, it's close… it's near." 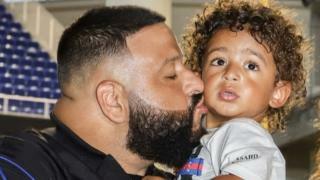 DJ Khaled announced that his son provides input on the album through gestures and expressions in the studio and has previously said that "he can tell if the vocals are right". Ask actor Ryan Reynolds ANYTHING! What's happening with Liam's solo album? Asahd has been influencing his dad's music since he was four months old. He was also credited as executive producer on both Khaled's 2017 album Grateful, and the single Shining by Jay-Z and Beyonce.